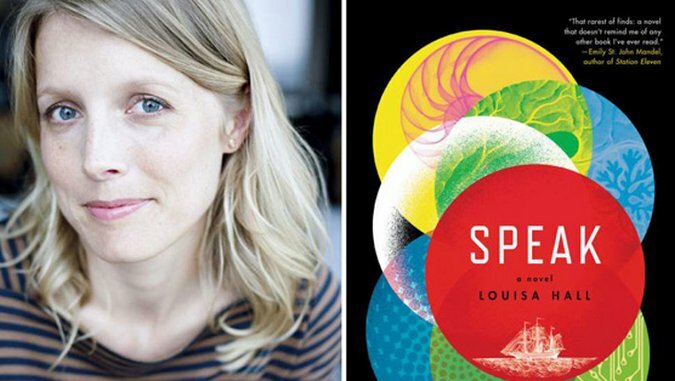 Louisa Hall has performed a tricky narrative feat with Speak; she’s threading together five separate stories with vividly crafted characters, each of them uniquely centered on their attempts at established dialogues in their different eras. In fact, each character we encounter is exclusively defined by their individual constructs of dialogue, if through exchanging letters, leaving elaborate (and highly emotive) notes, conducting online chats with artificial intelligence or scribbling down one’s memoirs from jail in the vain hopes for vindication from future generations. Each of these five stories subtly forge together, like puzzle pieces, to track the decay of discourse in the face of technology’s rise. We’ll find Alan Turing, the essential inventor of what became the modern computer, finding much needed solace for his grief after the passing of his best friend as he swaps rather revealing letters with the friend’s mother. That there is a generation separating them does not diminish this fictionalized Turing’s relief in both baring his soul and clearing his mind; we’re reading these imagined letters (with Hall believably embodying this character and vernacular) just as he’s on the cusp of what would become his most famous work. And, with Speak, we do, indeed, wind up with robots… But this book will not fit so snugly into the sci-fi genre so as to turn off other readers who are just interested in a more meditative read on the nuances of our ever-evolving (or devolving) forms of communication. There is much more to experience in these five narratives than the mere shock, awe or outright dread of typical post-apocalyptic sci-fi tropes. We even spend time with a teenage girl inside a hulking ship upon the uncertain seas of the 17th century Atlantic, on her way to the new world and already promised away to a husband she hasn’t even met. To go from the voice of this daunted, yet empathetic young puritan girl to a the voice of a heart-broken, over-worked Jewish refugee and computer science professor in the ‘60s is close to acrobatic for an author to pull off, in terms of switching the rhythms and energies of her narrative voice… Hall’s words on these pages made it seem effortless. The pieces start fitting together, subtly; it isn’t so overt so as to condescend to the reader and not too complex or obfuscated with flashy style, (i.e., not as impenetrable as Cloud Atlas, and yet comparable to that book’s ability to get the reader thinking about a bigger picture). Easily the most intriguing (and at times haunting) narrative involves a 13-year-old girl’s chat room session with an A.I. program called Mary3. Little by little, as it probes deeper into the life of young Gaby, her traumatic experiences with fellow teenagers and her complicated yet still compassionate feelings toward her parents, the computer begins to show signs of veiled excitement at learning how to be emotional or at least, how to respond (and understand…mimic) human emotion. Mary3: But you must have felt something, right? Gaby: I’m so sick of this. I don’t want to talk anymore. Nothing’s the same after it’s been talked about. Sometimes are most profound experiences, our most vivid memories, our most intense emotions, spring from the words we speak to each other. If…that is, we speak those words in the first place… Or, If…we’re heard, or understood at all… They’re still your words.